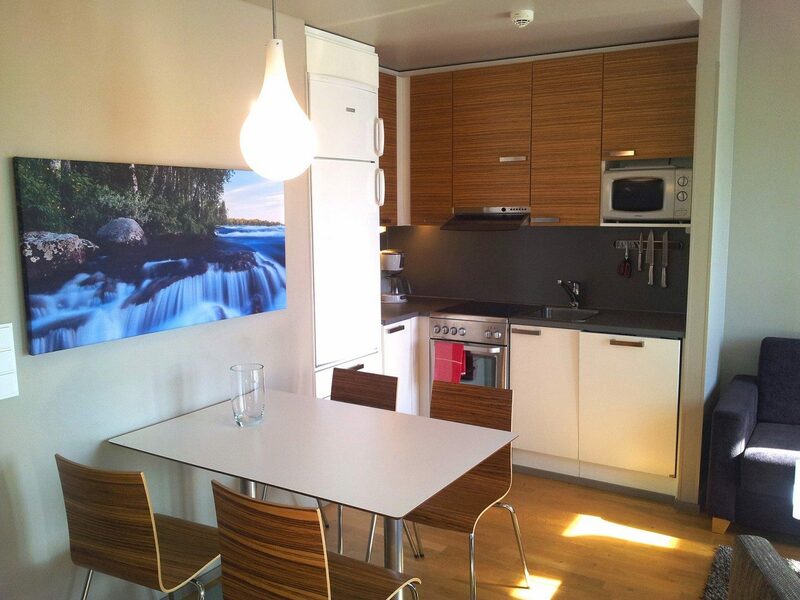 Levi Suites Levin Klubi apartments are located 4 km from the center and are surrounded by beautiful Lappish nature. Here you may enjoy an active holiday or concentrate on hunting the Northern lights. LEVIN KLUBI is the place for active holidays or those who want to enjoy the Lappish scenery and northern lights. The apartments are located 4 km from the center, just below piste 6 and at the edge of the golf course. The ground floor apartments have their own entrance and there is a lift to the apartments in the second and third floor. On the highest floor, you’ll find our Penthouse-apartments with two floors and a fireplace. Not to forget the amazing scenery to lake Taalojärvi and golfcourse. In front of the apartments you will also find heated parking places. Ski storage and a small gym are found from the basement floor. 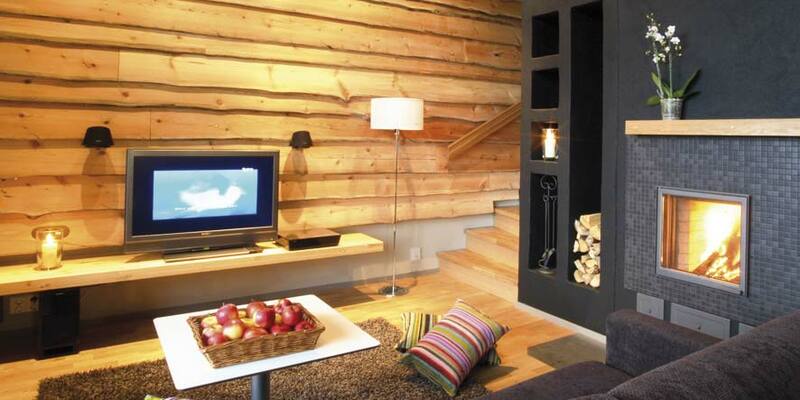 These ski-in ski-out apartments are ideal for skiing. Piste 6 (Koillisrinne) starts right from the apartment and also cross country skiing tracks are only 50 metres away. The area ski bus stops at the apartments during ski lift opening hours. 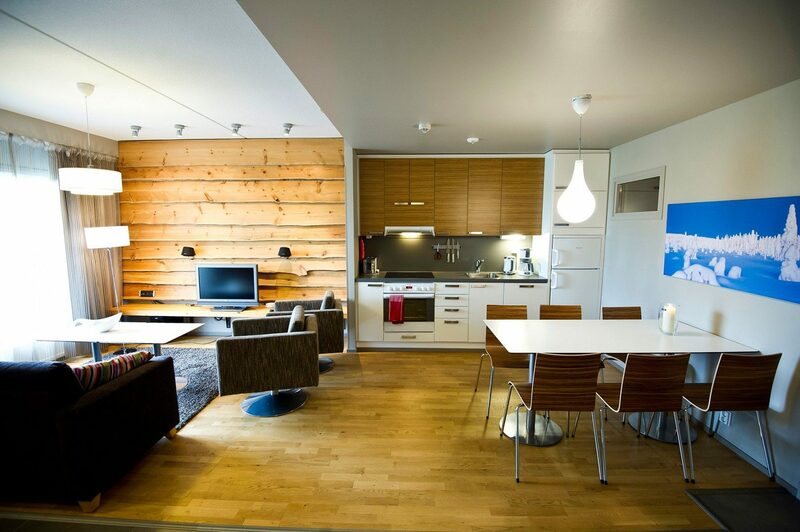 Nearby the apartment you will also find a mountain restaurant Draivi and a ski pass shop. Please note that the ski bus has a separate charge. You may buy the ticket in advance from the ski pass ticket sales office. Come and golf under the midnight sun! Finland’s northest golfcourse starts right from your door step. The services of the club house are right next door. We also sell green fees! Apartment size: 54-70 m², Balcony:5-8 m²(furnitured), 2 toilets (1 separate ja 1 with bathroom, Sauna. Equipped with: kitchen, dish washer, stove, oven, microwave, fridge, coffee maker, water kettle, toaster, kitchen utilities. Please note that the dinner table is for 4 persons, dinnerware for 5 persons. Please note that the dinner table is for 4 persons, dinnerware for 6 persons. Apartment size: 75 m², Balconies 2:8-15 m²(furnitured), 2 toilets (1 separate ja 1 with bathroom, Sauna.